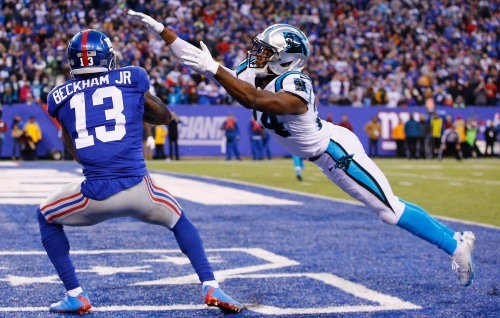 HomeFeatured WritersBeckham Jr. vs Josh Norman… What Really Happened? 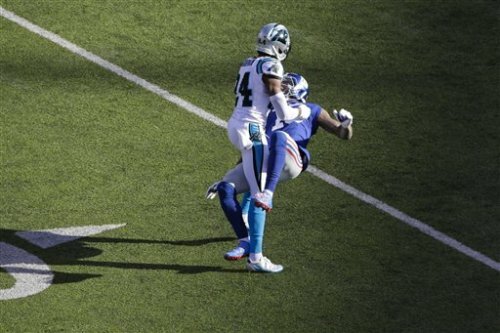 Beckham Jr. vs Josh Norman… What Really Happened? I must preface this article by clearly stating, two weeks ago I wrote a piece saying, Odell Beckham Jr. is on pace to be the greatest wide receiver of all-time. Even if you don’t like OBJ, his numbers are better than any other WR in NFL history. He is doing this without a running game or a legitimate number 2 WR. I also believe that after the helmet to helmet hit, he should have been ejected. I am also a Jets fan so I have no “Horse in this race” so to speak. Now with that said, here is my take on it. 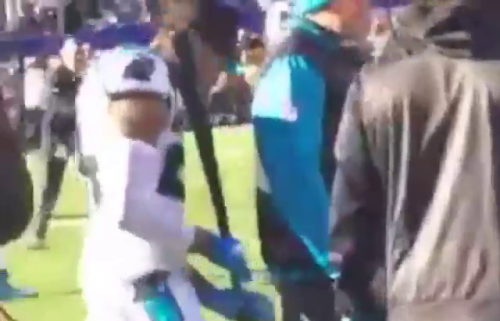 The NFL Network’s Deion Sanders and ESPN’s Adam Schefter have both reported that a few Carolina Panthers players carried black baseball bats on to the field and threatened OBJ. There are now videos and pictures of a practice squad player dressed in all black with a bat, threating OBJ. You want to say that is part of the game, part of intimidation fine. But, the Giants play in MetLife Stadium, they don’t share the field with the New York Mets or Yankees. This was premediated by Carolina and it is bush league. I am all for trash talking and trying to intimidate a player. Boston Celtics legend, Larry Bird was the master of trash-talking. But this goes above and beyond. Carolina packed these bats and brought them to the stadium. That is a weapon! They should be fined and who ever had a bat on the field should be suspended. Now, one might say that OBJ shouldn’t let that bother him, it is just trash talking and they are trying to get in his head. That is all true, but one of the very first plays of the game Josh Norman picked up OBJ and body slammed him. As he was in the air OBJ is waving to the official to call a penalty and the back judge didn’t. At this point, you could clearly see OBJ frustrated and he went after Norman on the next play. OBJ is the best player on the Giants, when stuff like this happens you take matters in your own hands. On the very next play (after he was body slammed by Norman) the Giants should have run a sweep at Norman and two or three lineman should have blocked him legally but hard. No one stuck up for OBJ after he was shoved to the ground and that shows lack of leadership and togetherness. OBJ had 6 catches for 76 yards and 1 touchdown. It was an average day for Beckham but a great day for any other receiver. A lot of my friends on social media called OBJ a thug and a punk. No, Greg Hardy is a thug, he brutally beat his girlfriend and threw her on a day bed that had several automatic weapons on it. Adrian Peterson is thug, here is a father who says he is a man of God and brutally beat his 4 year old son. Say it out loud, Peterson’s son had welts on his buttocks, legs and testicles. OBJ is not a thug, he was threatened and body slammed and nothing was called or done. Do I condone what happened and his actions, absolutely not, but if you are going to suspend him, several players on the Carolina Panthers should be suspended as well. OBJ is a weekly guest on the Michael Kay show, each week Kay and his co-host Don La Greca try to get OBJ to talk trash and bring up something controversial. OBJ never engages, he is almost a boring interview and never disrespects his opponents. Norman’s nickname is Batman… hence the bats. It was immature and classless. Both of these players are considered to be one of the best at their positions. There is no room in the game for this type of intimidating thuggery and bullying. The NFL has enough off the field problems with violence to tolerate this. Mike Greenberg said on his morning show, (Mike and Mike in the Morning) that all officials should be suspended as well. I agree, how Norman didn’t get a 15 yard penalty at the start of the game is mind boggling. That non call set the tone. I never think a player should make anything personal at the cost of his team, OBJ did that. I am also not a violent person but here are some movie quotes to describe what OBJ must have thought after the first few plays of the game and what I would feel if someone threatens me. Shame on the NFL Officials for allowing players to have bats on the field. 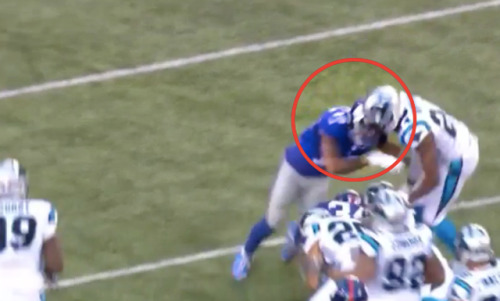 Shame on the Giants for allowing OBJ to be body slammed and no one came to his defense. Shame on OBJ for giving a head to head blow. All Parties were wrong here but Carolina was definitely the premediated instigator. More fines should come and more players should be suspended. And listen to the Monte Cristo Sports Thing Thursday Night at 7pm on WRNJ.